Get your copy of this free eBook to learn how companies just like yours are hiring faster with video interviews. Video interviewing’s presence in the hiring process has grown in recent years. Organizations from small businesses to international corporations use it to improve their candidate pool and their time-to-hire. 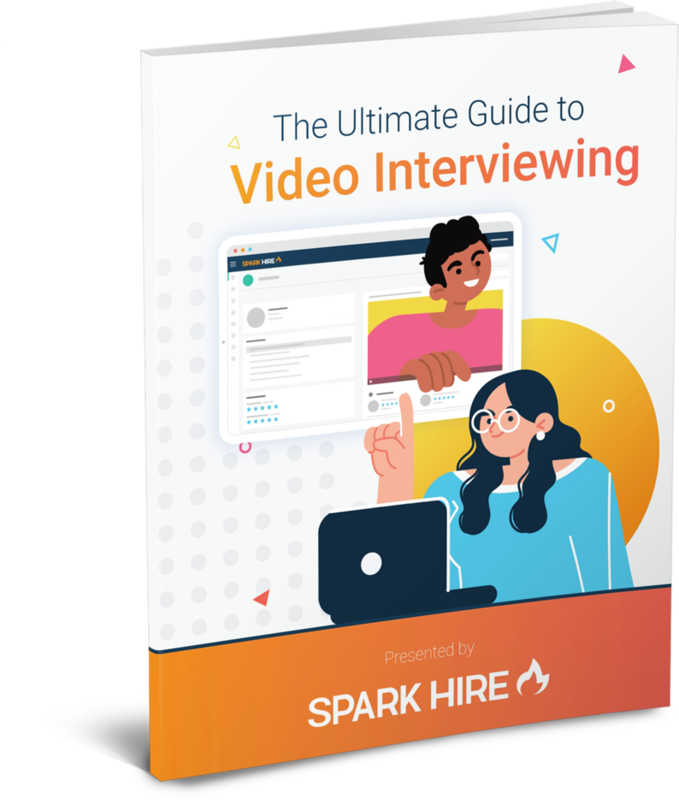 Download the free eBook, The Ultimate Guide to Video Interviewing, and discover how today's progressive companies are leveraging this powerful recruitment tool for better hiring outcomes. Complete the form so we know where to send your eBook to. Everything you need to know about video interviews. Inside you'll find use cases, strategies, and and more. Get a full rundown on the two main types of video interviews, one-way and live video, and the best use cases for each type. Understand how video chat (e.g. Skype), video conference (e.g. GoToMeeting), and video interview (e.g. Spark Hire) differ. Learn the challenges, process, and results other companies have seen by implementing video interviewing. There are some myths surrounding video interviewing we will discuss and explain exactly why we consider them myths. Put your company on a fast track to using video interviews by following our insightful list of questions to answer when getting started.